Note their use of Martin Niemoller’s famous words about the Holocaust. Just weeks after the worst anti-Semitic massacre in U.S. history, a new report from the Federal Bureau of Investigation seemed to confirm American Jews’ worst fears: Hate crimes targeting Jews were way up in 2017. A Forward analysis of the data underlying the FBI report suggests that, rather than providing evidence of an explosion of anti-Jewish violence, it shows high levels of reporting of anti-Semitic vandalism and property damage, alongside relatively few violent incidents. “At least as far as the Jews are concerned, while we have a problem that needs to be addressed, it suggests that we take a breath and figure out how much has changed, and not to rush to the conclusion that abyss is upon us,” said Marc Stern, general counsel of the American Jewish Committee. As an aside, the post uses the Forward to make their point. Says it all, really. But don’t worry! The group claims they are not antisemitic. Let’s start with what we are not. 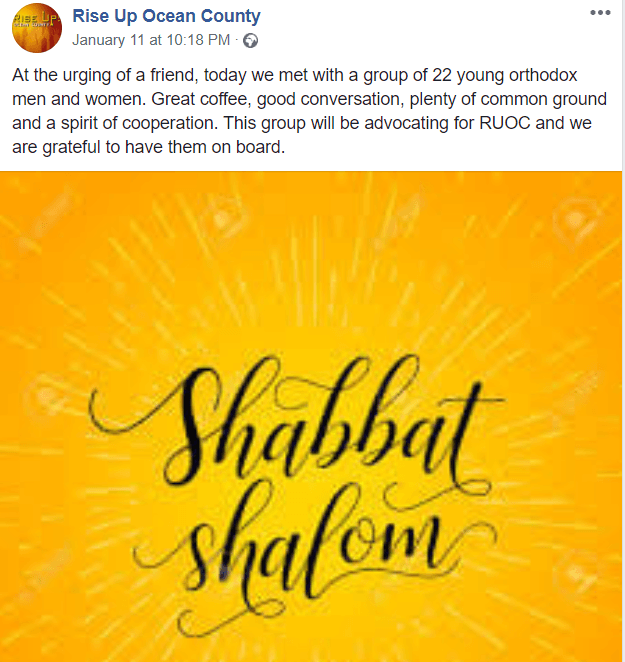 We are NOT anti-Semitic, in fact we welcome all faiths to our efforts and more specifically embrace our friends in the orthodox Jewish community. This is NOT about a specific religion, this is about equal treatment under the law and mutual respect for others. And they even want to help some Jews! I am sure you must all be relieved to hear that! This is another strain of antisemitism. Similar to the anti-Zionist-not-antisemite strain, this one hides behind a “cause” and utilizes the usual defenses we see from the Jew haters.